First of all, Thank you Progtologist for the addition to this unique Japanese band. 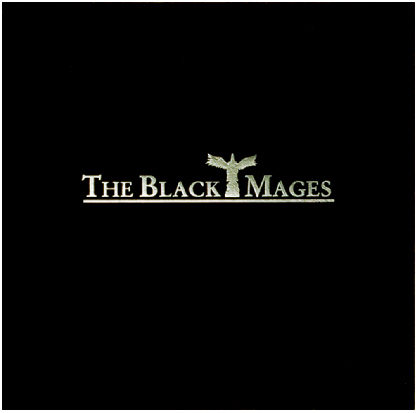 The Black Mages is a progressive metal group formed by Nobuo Uematsu. This album covers battle themes from various Final Fantasy games. Most of them were already good on midi. Imagine them on good audio quality with a raw metal band! Make sure you pay attention to Nobuo: he's a pretty good keyboardist! The musicianship in this album might not be excellent, but the songwriting is great. The weaknesses are the jams. Note: This is an instrumental Album. The melodies are played mostly on the guitars. The album begins strongly with the Battle Scene from the First Final Fantasy. This is a mid-tempo song that astronomically improves the midi predecessor. The melodies are good, and the synth riffs are masterfully done. Clas on the Big Bridge is actually the Giglamesh Theme from FFV. It is a heavy metal song that starts with synthesizer quick arpeggios. The song features catchy guitar leads. Force Your Way is a rocker with very nice keyboard riffs. Definitively a highlight! Battle Scene II is low tempo and doesn't reach the standards of the previous tracks. IT is still good though. Decisive Battle is from VI, another catchy unusual track greatly improved by the usage of electric guitar leads. Battle Theme was originally a poor track. Now, it is a decent rocker. Jenova is not much better than the original. This one sounds more techno, heavier and more complex. I think it is far too loaded with instruments (the weakness). Still, it is a very good track with lots of energy. Those Who Fight Further is another highlight of the album. Not much better than the original, but it was already a perfect track. Beginning with a powerful and fast guitar riff, it leads to many different themes and changes without changing the rhythms too much. The keyboard playing in this track is worthy to mention, and some synths remind me of the 70s. Fight with Symour has touches of electronic-rock, making it a fast paced jewel. I skipped a track, didn't I? Yes, of course: the masterpiece! Dancing Mad! In a midi file, it was already one of the best songs from Nobuo. Now, he decided to use his band and make it a 12+ minute long epic. This track is very unique. The first 6 minutes of it is obviously a classical. The difference is that it has electric guitar and keyboards, not just the pipe organ (which sounds gorgeous by the way). This Church Organ plays some neat riffs, rhythms, and chord progressions that rival Wakeman's "Judas Iscariot." It is not that easy to get into at first, but after a few listens, it will be impossible to resist. That is only the first half. The second half is even better! (Kefka Theme). You get hinted at what style of music will be when you hear the rocking bass riff. However, I got fooled a bit. This is like Emerson Lake And Palmer: fast hammond-organ riffing (including one that is similar to Tarkus' Eruption). The verses have very complicated and unusual hammond organ stabs while the chorus has a catchy complex melody. After a couple of minutes, the notes ascend like in Starship Trooper and you get a new part of the song. It has a slow chord progression played by the church organ that gives a feeling of terror. After the chord progression ends, there is a loop. Because repetition sometimes is not tolerated (as this goes for 3 minutes), you hear the first guitar note. What a wonderful note! The guitar solo is about 2 minutes long. It initially plays the melody of the chord progression, but later plays some very complicated stuff that fits in the song perfectly. The loop ends and the song finishes with the riff heard in the opening of the song. And that is all: A great collection of songs with a big standout that would surely please most progressive rock fans. The Black Mages debut, melding heavy-progressive-metal with music from the Final Fantasy video game series. The result is great, some true great instrumental tracks whether you're a fan of the games or just a fan of good music. As for progressive, the album has some complex tunes, some prog soundscapes and even a full out 12-minute epic. The songs presented are all battle themes, and so they're all very heavy almost frantic sounding. While this band did improve by their sophomore in terms of complexity and musicianship this is still a great debut. Those familiar with the game series should have an abundant sense of nostalgia listening to this record, and they should. 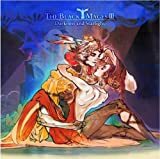 The Black Mages do a great job of keeping the original tunes in tact while putting their own spin on them and truly making them into some great music. This shows especially on tracks like FORCE YOUR WAY and FOR THOSE WHO FIGHT FURTHER or J-E-N-O-V-A. Some other tracks such as BATTLE SCENE are a bit lighter on the guitar, letting some synthesizers into the mix, and this is okay, but it does take away from the music a bit, making it sound a bit less full and fleshed out. Some other very noteworthy tracks include THE DECISIVE BATTLE, one of the heaviest songs on the record and the coda, FIGHT WITH SEYMOUR. Both tracks equily complex and grand. The best track in the mix, however, has to be DANCING MAD, the album's focal point. For those who don't know, this was the final battle theme to Final Fantasy VI, and it takes place over the course of 4 battles. The song itself integrates all these segments seamlessly and the track really has a life of its own. The best part comes near the coda (where the final battle in the game takes place) and the bass and synth kick in with some funky parts and bring the song to a nice close. This is easily the standout of the album, not to mention the most progressive track. So, for a great debut that would only see the band get better with time The Black Mages get 3.5 stars for this album. Great, not essential, but definitely a must-buy for Final Fantasy fans and instrumental fans alike. The only thing holding this album back from getting 4 stars would be that it would be great to have at least one slower, very complex song on the mix. Good album none the less, you will not be disappointed if you want something heavy to rock out to. Video game music turned into metal songs? No, this is much more then that. The musical composer of one of the biggest video game franchise, "Final Fantasy", is Nobou Uemastsu. Besides the nice storylines that are revealed while playing any game in this RPG franchise, the most noticeable thing is easily the soundtrack. Rather then just adding background music to the game, Uematsu actually brings the music to the forefront, pulling the emotions through with his necessary composed music. Nobou Uematsu is an extremely talented keyboard player who should be taken more seriously, sadly not probably because of the fact that he composes game music. Even so, his compositional talents have been made known by Time Magazine as an innovator in the 'next wave - music' article. His biggest accomplishment probably comes from winning the 'Song of the Year (Western Music)' at the Japan's gold disc award in 1999, being the first time a video game track got that award. The song was 'Eyes on Me' from "Final Fantasy VIII". Apart from that little tidbit of information, you might be surprised that among his biggest influences are Elton John and the classic prog act, Emerson, Lake, and Palmer. Uematsu covers many different styles in the music, but the easiest term to coin it in would be symphonic and classical. He also dabbles into a little bit of electronica and has some atmospheric and minimalistic tracks. If you played the "Final Fantasy" series, these tracks should be very familiar to the ear. This album contains mostly just the battle music from "Final Fantasy" I to X. Unfortunately this is why I think this is only a good album and kept at that. Surely if you played the games, you would know the battle music is some of the lesser works of Uematsu. His work truly shines in some themes that occur throughout the games, but saying that it is his lesser works doesn't mean it's bad or anything. So basically, the tracks are his battle themes (mostly) arranged for modern instruments being guitars, bass, keyboard and drums. The compositions are mostly guitar driven, very melodic too. At times the keyboard will take the forefront completely. The biggest reason that might make you want to buy it is the last three songs. The first seven or all of the battle themes and key boss battle themes taking place in "Final Fantasy" I-VII. Track seven is 'Those Who Fight Further'. This is the boss battle taken from "Final Fantasy VII". If the song wasn't great enough, this track gives it the extra push with traditional instruments. They keyboard has a larger impact on it then in the original. 'Dancing Mad' is a track taken off one of the best, "Final Fantasy VI". 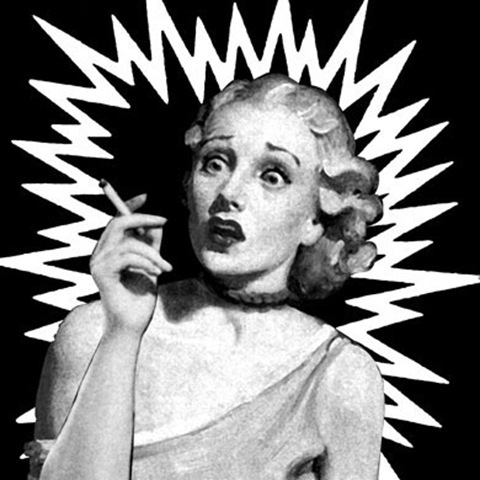 This track was turned into a bombastic 12+ minute piece. A church organ is even used just to show how powerful this track was supposed to be, because in the game, this was played in the most crucial of moments. This features some great instrumentation that rivals even Keith Emerson sometimes in the fantastic keyboard work. This can match up well to other great prog pieces. 'Fight with Seymour' is my second favorite track on the album due to the rework of it. There is more of a techno feel to it, very complex though compared to most techno I know of. This probably features the best of Uematsu's keyboard work, this song was great! So the reason I gave this 3 stars is because it was obviously good, but the compositions chosen was almost all battle music, which is where Uematsu shines the least. He was still able to turn them into powerful rockers though. 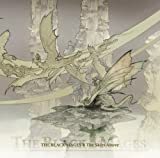 Post a review of THE BLACK MAGES "The Black Mages"